Last weekend, me and my husband did a short weekend getaway to the island of Batam, Indonesia. That's one bucket list down, baby! We bought a voucher from deal.com.sg to get there. What I like about these online travel deals from Singapore is that it's hassle free. They'll do the travel plan for you and it's affordable. But don't get too carried away or you'll end up buying more than what you really aimed for. We headed to HabourFront Center Pacific Ferry Counter Staff at 1 Maritime Square #03-41 to collect our boarding passes. We needed to be 1 hour and a half early before departure time so that we won't missed the ferry schedule. If you happen to be late, then you must pay an additional surcharge of $5 SGD to the tour guide in Batam. Yeah, it's cheap but you're also putting the other tourists convenience with you. After paying, what needs to be paid, head straight to the Departure Area located at the second floor, Singapore Immigration is also there. Nope, no long queue at all. The trip took us an hour to Batam. 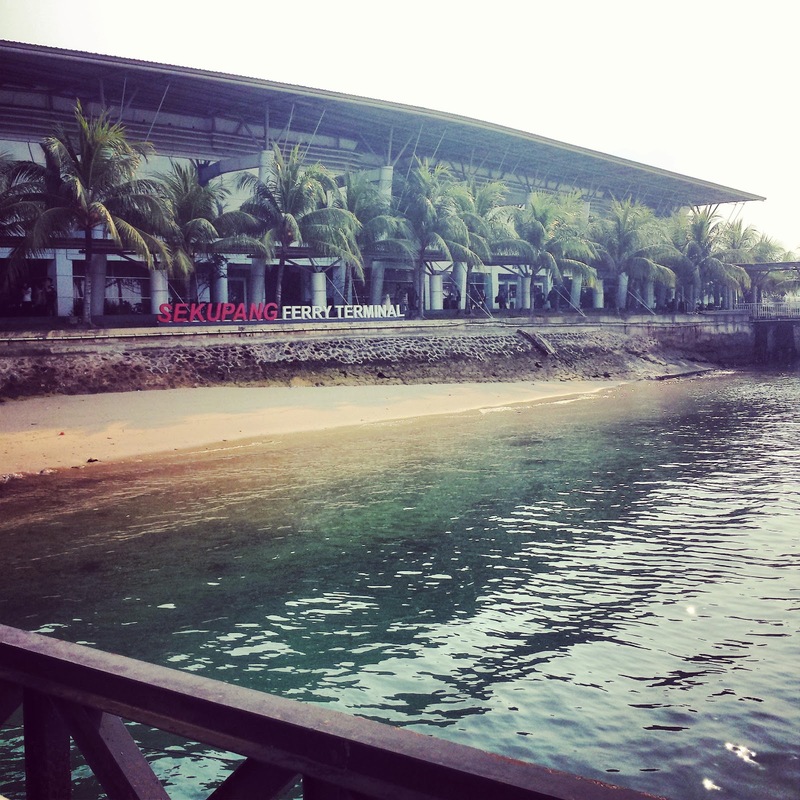 We departed from Singapore at 8:50 am and arrived at Sekupang Ferry Terminal Batam, Indonesia at 8:50 am. How was that possible? Well, Batam is an hour behind Singapore. 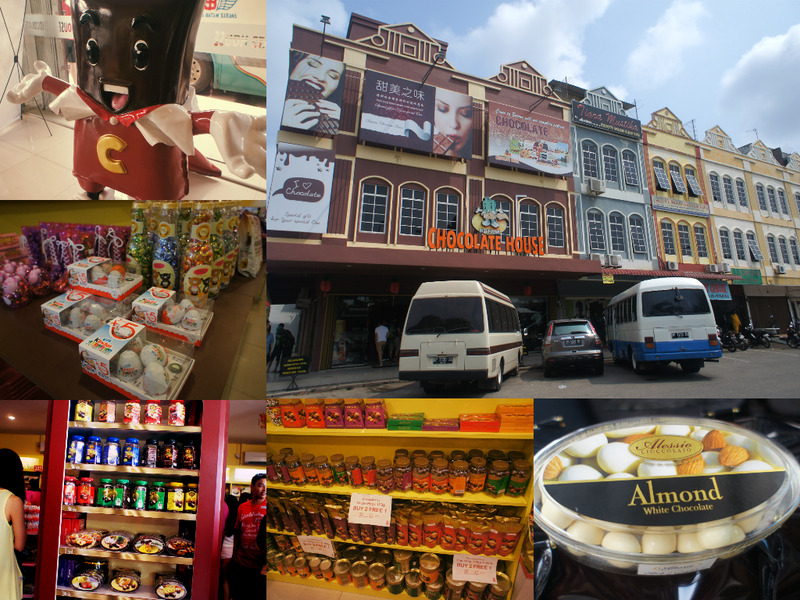 You might want to check out my post : Travelling to Batam, Indonesia. The queue at Batam immigration was really long. After having our passports checked, we looked out for our tour guide at the terminal. It'll be easy to find them as they're holding out papers with the guests names on it. #Travel Tip: The tour guide will collect you terminal fee's in advance for our next day trip back Singapore so be sure to exchange SGD's to IDR's before arrival. When all's been said and done, you're ready to kick off the city tour. First stop is the Chocolate House. My husband bought white chocolates for us to munch on while on tour so we got a box of almond white chocolates. The Chocolate House offers buy 2 get 1 promotions. Second stop is at the Kueh Lapis Factory. 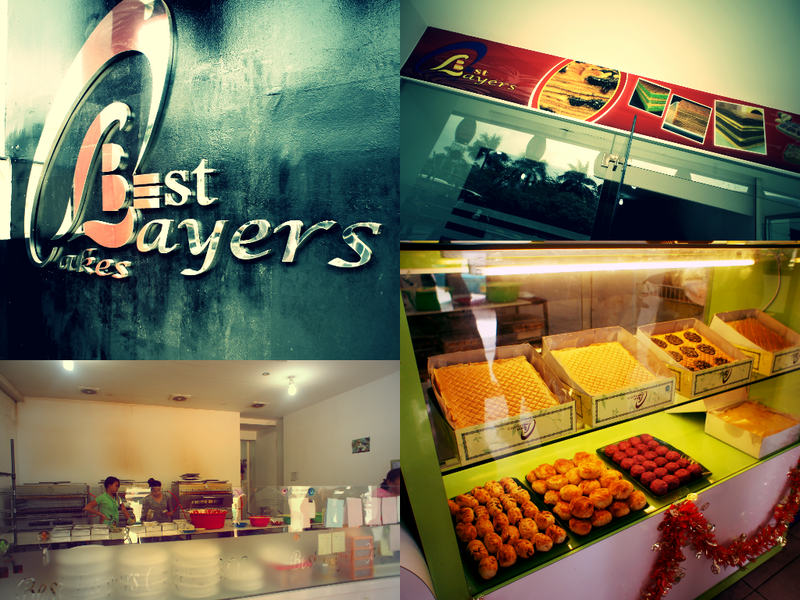 On the lower left picture you will see some employees making the famous kueh lapis which means layered cakes. To be honest, I felt sorry watching these men performed. Don't get me wrong, there's really a 'whoah' factor watching them but I cannot fathom the fact that they have to eat broken glasses and coals of fire just to make a living. I have a video from their performance. If you're interested, you can check it out from this post: Kuda Lumping Culture Show. Third stop is the Dry Market. It's finally time for lunch! I was so hungry I could eat a cow. Batam, Indonesia is an hour late from Singapore, so lunch time was served around 1:00 pm Singapore time. Uggh! Around this time my head was already spinning from the heat and hunger. We had our lunch at Wey Wey Cafe and Restaurant. It was an Indonesian buffet style. After lunch, the tour continued but I was nursing a headache. Waaah!! I wasn't able to continue the afternoon tour. :( I stayed inside the bus, took a nap until we reach the massage stop. I was feeling a bit embarrassed doing the massage because you only get to wear the blue shorts the massage shop provides. For ladies, that would mean taking off the top including the underwear. Okay, I'm overreacting. Actually, they have towels in there too which you can use for cover. The massage was relaxing but I wasn't really able to enjoy it because of the severe headache I was having. Don't forget to give a tip afterwards. After the massage, It's time to check-in at Harmoni One Hotel Batam. Yay! I was able to finally rest. Don't forget to tip the tour guide and bus driver as well, $5SDG, $10SD per tourist, nah, it wouldn't hurt your pocket.